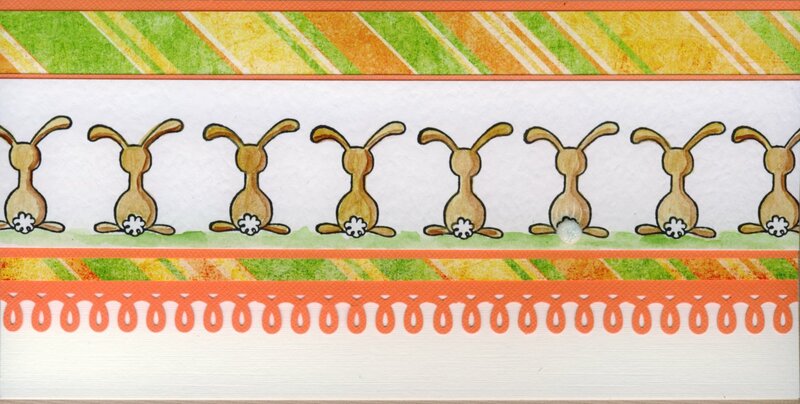 eye can stamp: Easter Cards... NOW?????? 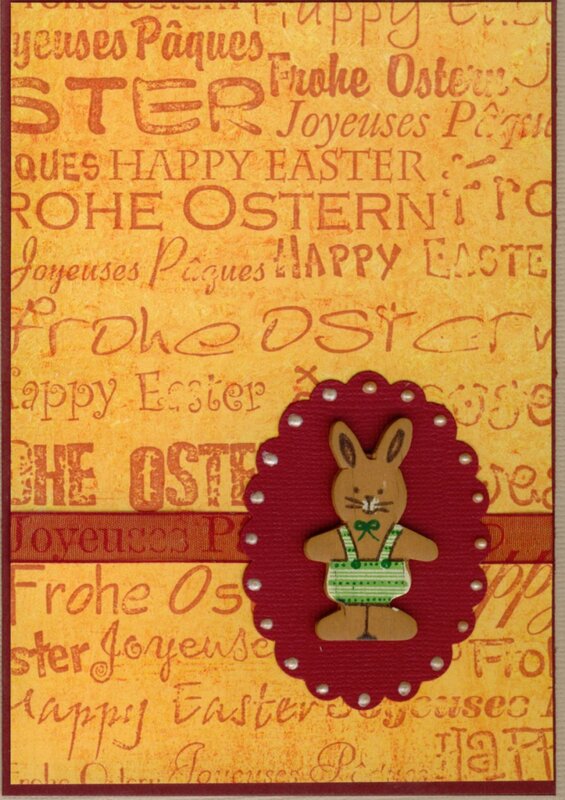 After Easter is before Easter, isn't it? 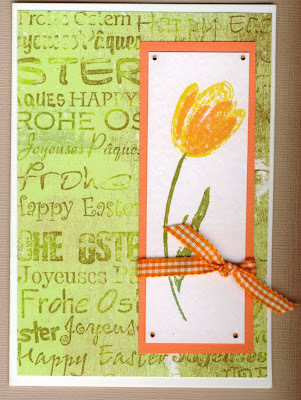 I love this two-step-stamping tulip by Stampin'Up. 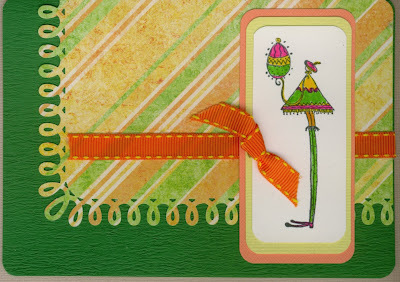 I stamped it with Colorbox Fluid Chalks onto white cardstock. 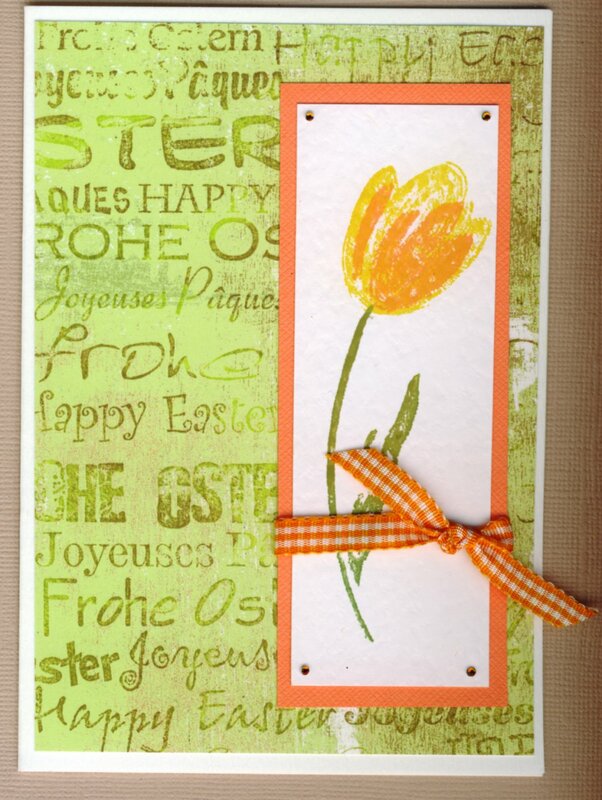 The Easter Wishes background stamp is by StempelBar, stamped onto some BasicGrey dp. Image by American Art Stamps, dp by Basic Grey. Edge and corner punch by Martha Stewart. I colored the image with Tombow markers. For this card, I used a Sizzix BigZ die to cut the window into the card. 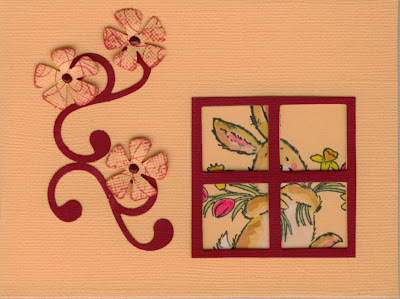 I cut it again in a different color and placed it over the actual window. 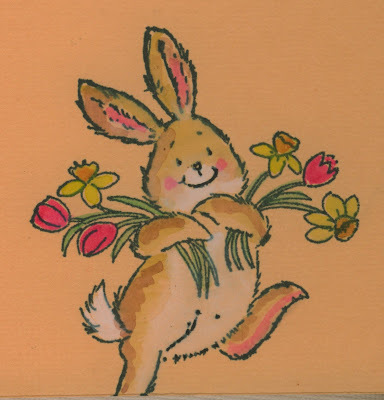 Then I stamped a bunny (Penny Black) onto the inside of the card and colored it with watercolors and Tombow markers. The outside of the card was decorated with some flourish die-cuts (punch by EK Success) and ambossed flower die-cuts (punches by Nellie Snellen). I stamped the cardstock for the flowers with a Hero Arts swirl pattern first, the die-cut and dry-embossed them, and finally placed a little red wax dot in the middle of the flowers. This is a fun one, isn't it? 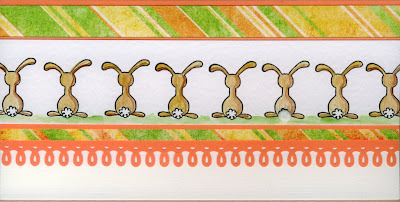 I stamped this bunny stamp (A Muse Artstamps) eight times and colored the images with watercolors. Hard to see on the photo, but one of the bunnies has a cotton ball with stickles on it for his tail. Dp by Basic Grey, edge punch by Martha Stewart. 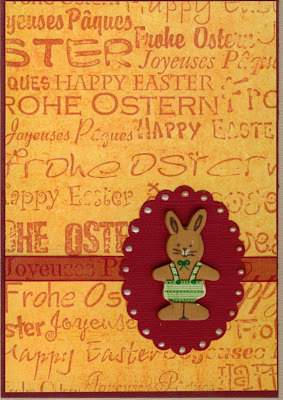 For this card I stamped my Easter Wishes background stamp onto some dp by CreaMotion. The bunny had been part of my crafting stash for at least ten years... Scallop Oval Punch by Marvy Uchida, dots created with Liquid Pearls. you are a very good artist. i love all your cards. The shading is what I like best. I hope to get that good at it. I also like the name of ur blog!